The WWF Kids Folkstyle State Championship was held March 24-25 in Madison. 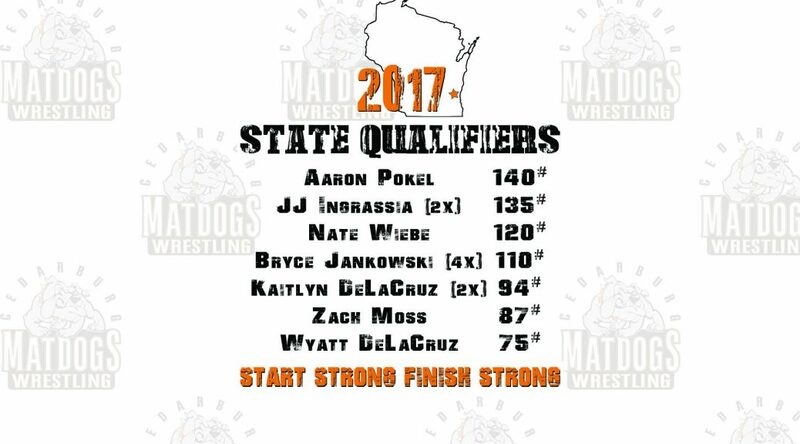 Congrats to all seven Matdog State qualifiers! They all wrestled hard and had a great experience. Bryce was able to make it to the podium taking 5th.